The Bricklin SV-1 is the best Canadian gull-wing door sports car because I’m fairly sure it’s the only Canadian gull-wing sports car. 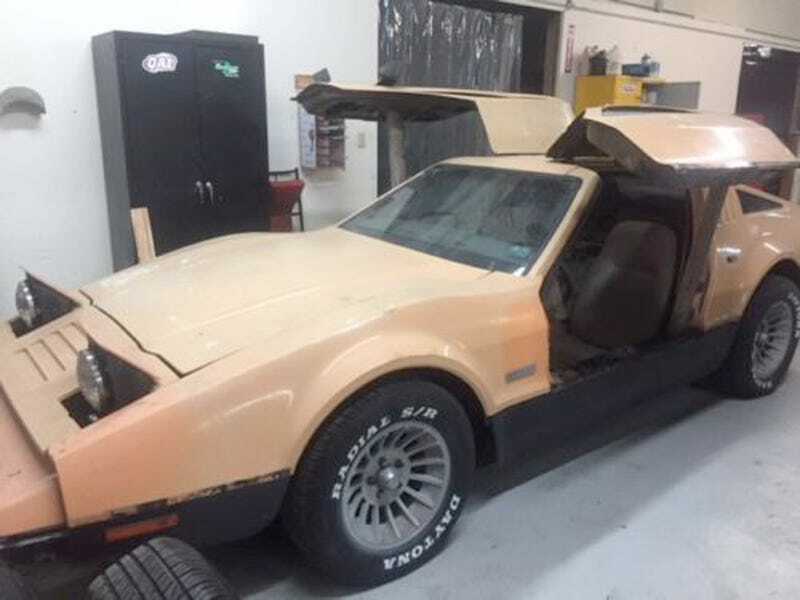 Here’s your chance to own a piece of automotive history with this rare 1975 Bricklin SV-1 for sale on eBay, and as of right now it’s pretty cheap. This orange example of futuristic 1970s engineering has only 85,000 miles on it and is currently listed at $3,000. The Bricklin is powered by a Ford 351 cubic-inch V8 that’s paired with an automatic transmission. I can hear you all groaning about the slushbox. I don’t want to hear it. Where else can you get a gull-wing sports car with pop-up headlights that looks like it rolled right out of Blade Runner? The “SV” stood for “safety vehicle.” SV-1s were even equipped with an internal roll cage just in case your track days got a little out of hand. It’s unfortunate that the Bricklin was a failure due to astronomic production costs and sub-standard building materials. As a result, only around 3000 SV-1s were ever made and it’s believed fewer than 500 exist today in 2017. Regardless of quality, this Bricklin is a very rare car. If I had to spend $3,000 on a Canadian sports car, I’d buy this SV-1.